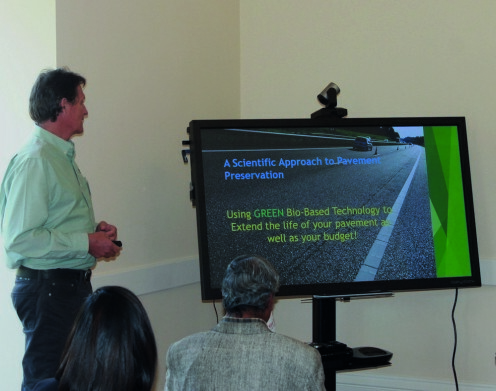 We worked with our strategic client, Bio-Pave Products, LLC to host and implement a workshop and demonstration event designed to help local governments address the challenging issues of protecting and enhancing aging infrastructure – highlighting the importance of choosing sustainable green products over products that are harmful to local communities and the environment. We add value by helping our clients identify their core audience — connect with cities and local governments and to help meet their sustainability and pavement preservation goals and share our experiences with the community. ©2019 Eco-Alpha | All rights reserved. Eco-Alpha, Eco-Alpha Environmental and Engineering Services and the Eco-Alpha design marks are trademarks of Eco-Alpha Environmental and Engineering Services, Inc.